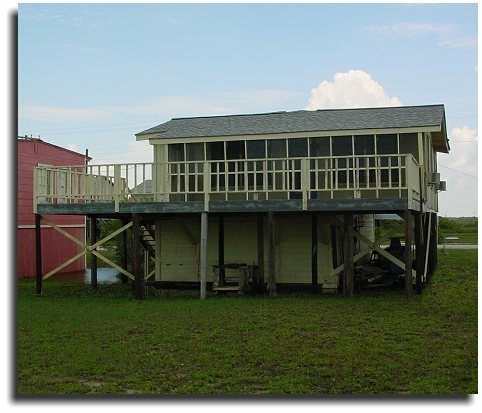 If you are looking for great fishing and relaxation, this is the place to be! Our Rental 54 offers walking distance to beach, superb fishing, & birdwatching. Matagorda and Matagorda Bay are a Fisherman's and Birdwatcher's Paradise! 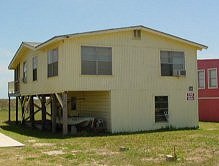 Rental 54 at Matagorda Beach, Matagorda, Texas - Excellent Location - Great Place to Vacation! 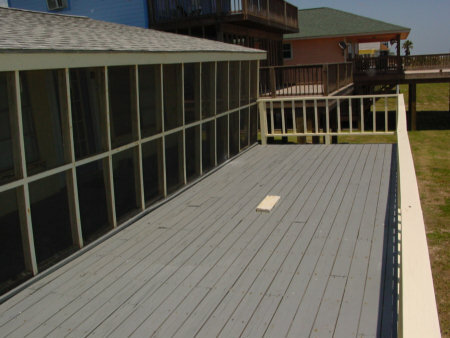 Fun Times While Relaxing at Matagorda, Texas! 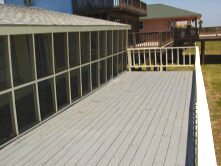 Sit in the screened porch or on the porch on the open deck for your ocean view. 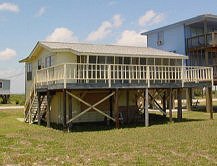 Only a short stroll over the dunes to the water or even to the Jetties. Sleeps 7 comfortably with one queen in a separate bedroom plus one full and three twins in a large sleeping area. 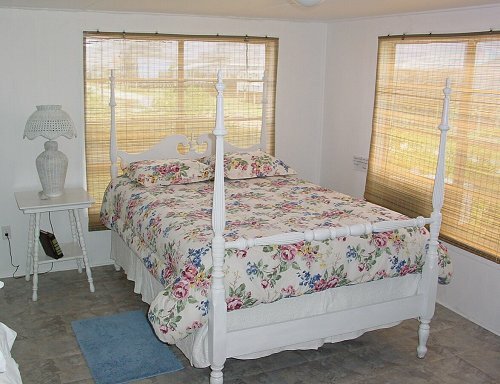 Pillows & bedspreads are provided. 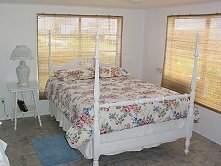 Bed linens & towels are only provided with an additional cleaning fee. 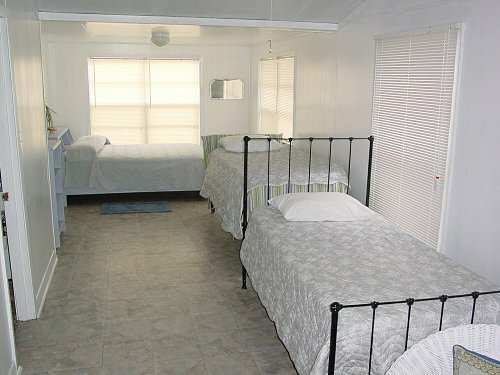 Cabin has A/C for your comfort. Bathroom with tub & shower. 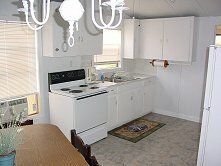 Full kitchen with stove, microwave, coffee pot & refrigerator. Cookware, silverware & dishes provided. 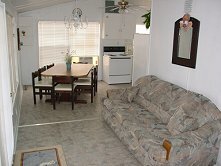 TV w/satellite & DVD provided. 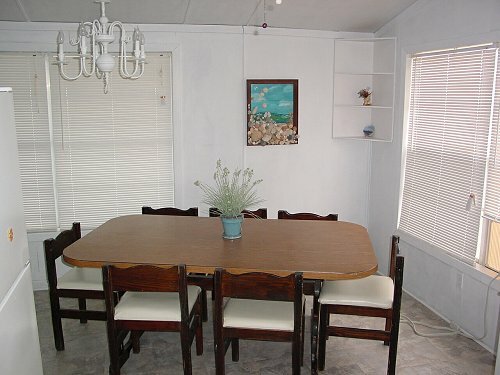 Large open dining & living area. Plenty of parking for vehicles & boats. Security deposit of $150 is due upon making reservations. It will be refunded 14-21 days following your departure less any charges for damages. 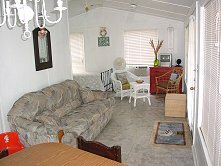 All rent must be paid in full prior to your check in. 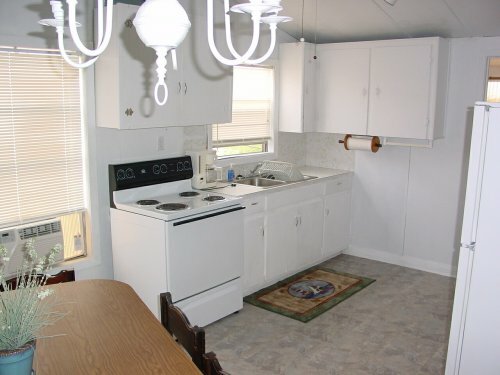 NOTE: Tenants must be at least 25 years of age to lease the property. Payment may be made by check, money order or credit card. 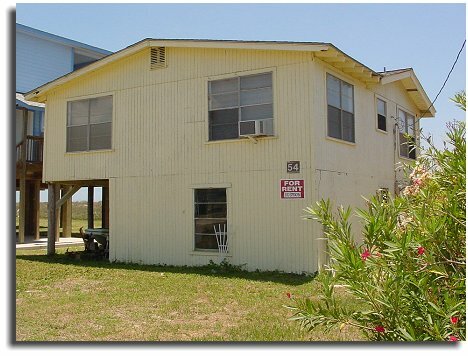 Take Hwy 60 south of Bay City to Matagorda (approx 20 miles). Turn left at the blinking light (FM 2031), cross the intercoastal canal and continue for 6 miles. The last street to the left before the beach is into Sterling Shores. 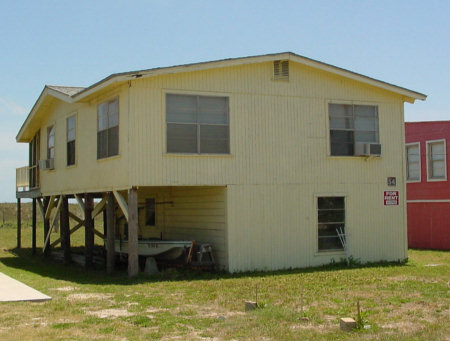 Turn left and look for Cabin 54, about halfway down the road on the right (beach side). NO PETS allowed without prior approval. An additional $150 security deposit is required for a pet, $50 is non-refundable. Check in time is 3 PM. Check out time is noon. Please respect our property. Please leave the house as clean as it was when you checked in. 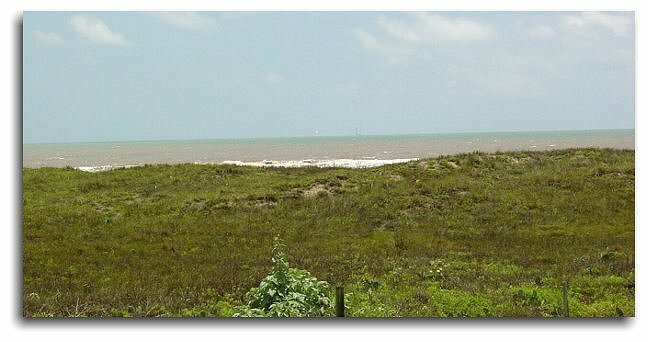 Sargent and the Matagorda Bay area offer you Beachcombing - Surf Fishing - Wade Fishing - Biking - Beaches - Swimming - Boating - Kayaking - Pier Fishing - Hiking - Sailing - Jet Skiing - Seafood Restaurants - Water Skiing - Deep Sea Fishing - Bird Watching - Fun In The Sun! this property, call owner at number listed on this webpage.